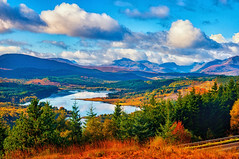 If you love dramatic Scottish highland scenery you will love the images on the John Ellis Photography website. 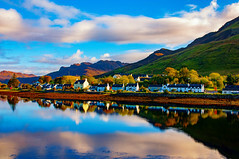 Its been a while since a new Scottish landscape photographer has caught our eye. However, Mhairi has been sharing pictures on a Facebook group for people connected to the Isle of Harris and spotted a few scenes posted from John. He refers to his grandparents being from Luskentyre and vividly remembers spending summer holidays there as a child. Horgabost on the Isle of Harris. ©John Ellis. This first picture is of one of our favourite places and John has captured a wonderful composition. He lives in Strathpeffer in Rossshire, which is just north of Inverness. This puts him in easy reach of many of Scotland’s most stunning scenes. 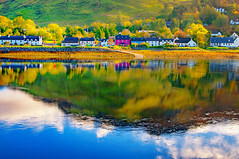 Ease of reach isn’t the only criteria as the pictures on the website cover the inner and outer Hebrides and some shots of Glasgow. His website includes galleries on landscapes, seascapes , flora, fauna and other work. Each image can be purchased as a mounted print. He says his passion is landscape photography and he is constantly on the lookout to capture new and different shots. Looking at the images on his website he has mastered long exposures to get the drama from the brooding Scottish weather as dark clouds pass over water falling or lapping on the shore. Here are a further couple of images John shared with us recently. This entry was posted in Harris, Landscape, Locations, Photographers and tagged Isle of Harris, John Ellis, landscape photographer, landscape photographers, Luskentyre, Photographer, Rossshire, scenery, Scotland, scottish landscape photography. Bookmark the permalink. Ah, would love to have more time to get up to the wild areas of Scotland to photograph them! I end up spending more time around the Edinburgh area!